Fiji Airways, continuing its efforts to increase local numbers in senior management positions, has announced the appointment of two Fijian professionals for such roles. Edwin Aisake, currently the airline’s acting general manager Human Resources has been promoted to the newly created position of General Manager Inflight Service Delivery. In his new role, Mr Aisake will lead all aspects of inflight service delivery and strategic leadership of the entire Fiji Airways cabin crew complement of more than 250 cabin crew team members. He joined the airline in 2001 and has an MBA and Post Graduate Certificate in Human Resources from the University of the South Pacific. Fiji Airways group managing director/chief executive, Stefan Pichler, said: “Edwin has been acting in a GM role for the past ten months, and is now ready for promotion to a full General Manager in an important area. “We are serious about becoming the world’s best boutique airline by ensuring top notch, genuine customer service offered to all our guests onboard. “Our cabin crew are at the heart of what we stand for as Fiji’s National Airline, and I’m confident Edwin will ensure consistency of service delivery, while also prioritising training and proper crew management. Also, Diana Fong has been appointed as Fiji Airways’ new general manager Human Resources, joining the airline from British American Tobacco. Ms Fong has a Masters in Human Resources from the University of Western Sydney and an Avatar Masters Certification from Star’s Edge International in Florida, United States. Mr Pichler said: “We took our time to find the very best suitable candidate for this very important strategic role and are happy that Diana’s qualifications and her track record are the right fit for Fiji Airways. Mr Pichler said localising senior management positions at Fiji Airways was a key priority for the airline. 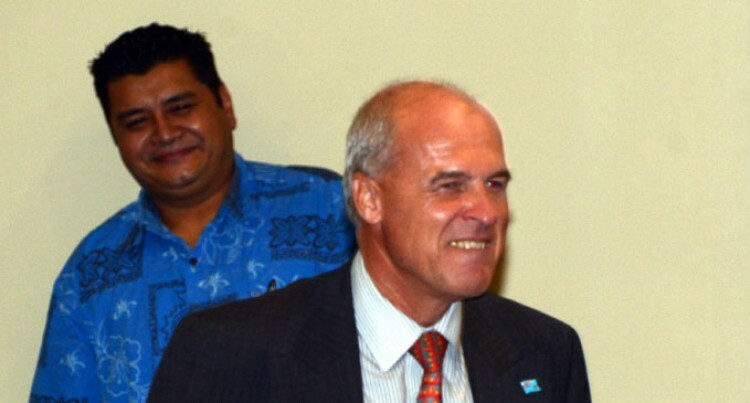 Recently Fiji Airways announced local substantive General Manager positions its Legal and Safety & Security functions.